Enterprise Hotel Property Management System - fee-free online reservation module, phone maid interface, point of sale interfaces, internal gift card capabilities, and much more! 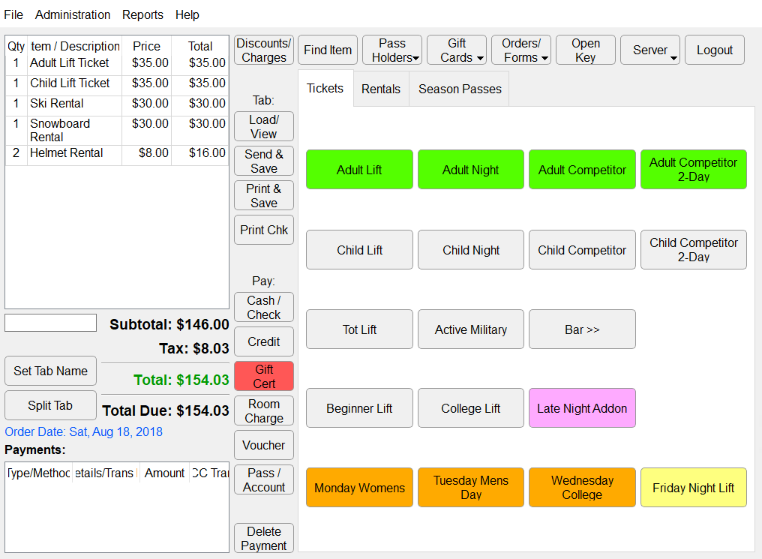 Enjoy a ticketing/point of sale solution that is extremely easy to use and supports fully-customizable fee-free online ordering. It can also print ID Cards, tickets, receipts, and much more! Track your Employees hours with ease! Web-based system utilizes networked biometric time clocks to track employees in real-time. Supports text/email messages to alert you of employees approaching overtime. 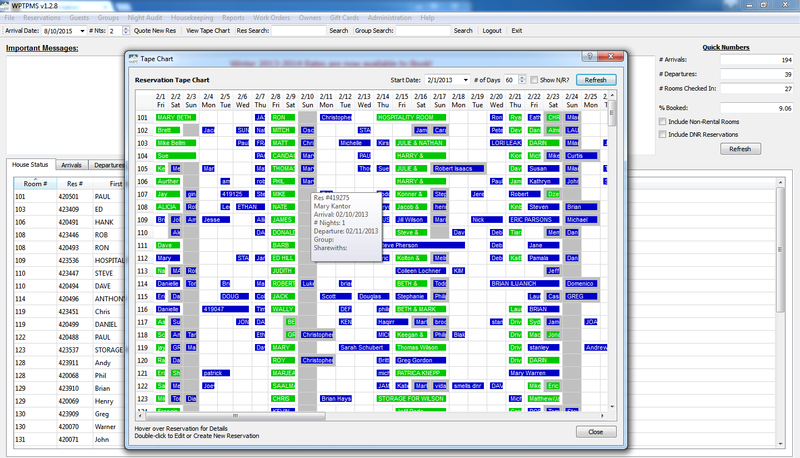 We provide Hospitality Software for Ski Resorts, Golf Resorts, Hotels, and much more. All of our Products inter-connect and communicate using one central guest database to track your guests and better understand your market. Our Software is easy to use, requires minimal training, and is extremely efficient. We make a variety of products to help you with all aspects of your resort's operation. Click on any of the below products for additional details. We also can customize any of our products or create new custom products to fit your specific needs. Manage Hotel Rooms, Condos, Vacation Homes, Meeting Rooms, and much more with our Property Management System. Enjoy fee-free online reservations. Many interfaces available, including support for fee-free internal gift cards and much more! Perfect for Ticketing, Bars, Restaurants, Gift Shops, and quick-service areas. Supports fee-free internal gift cards, room charging, fee-free online store, season/member databases, printing of ID cards, and much more! Manage Tee Times for your Golf Courses. Includes fee-free online and customizable tee-times booking and integrates with the point of sale to mark guests as paid/checked-in. Tablet-based starter module allows you to track golfers and golf carts. Easy to add shotguns and groups. Web-based Time Management System to track your employees hours. Uses Networked Biometric Time Clocks that eliminate Buddy-punching and give you real-time analysis on all your employees. Receive text or email notifications when employees approach overtime. Has a quick view of currently punched in employees by department, easily exports time punches to your payroll system, and does much more! Technical Support is available 24/7*, 365 days a year via Phone, Email, and Web. Annual Support and Maintenance plans are available, as well as pay-per-incident support options. This provides maximum service with minimum cost for you. We take security and privacy very seriously. Since day one, our software has not touched cardholder data. Instead we utilize Point to Point Encryption devices (P2PE) to encrypt the data before it even reaches the computer and send it securely to our Level 1 PCI Compliant Processor for processing. This keeps your customers cardholder data more secure and lessons your PCI Compliance burden. 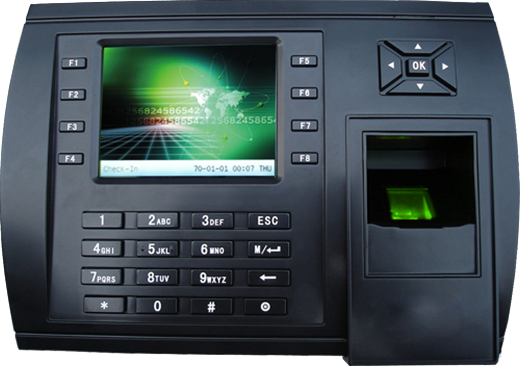 Our P2PE devices also support the new EMV (Chip & PIN) requirements coming out in October of 2015.